We are happy to report that the latest installment of the ongoing event series, This is Product Placement, is fast approaching. 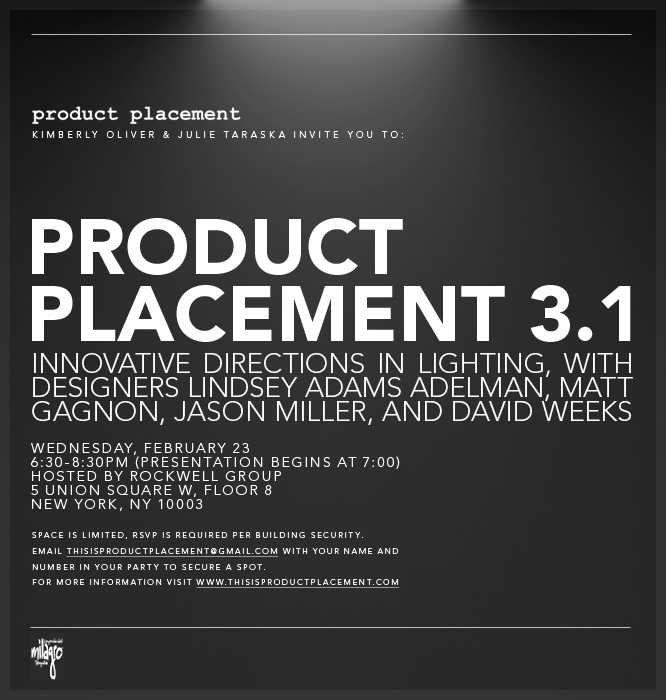 Mark your calendars this Wednesday, February 23rd for Product Placement 3.1: New Directions in Lighting. This collaborative project, spearheaded by Kimberly Oliver and Julie Taraska, strives to tell the untold stories behind product design and development. Some of DC’s favorite designers will be presenting: Lindsey Adams Adelman, Matt Gagnon, Jason Miller, and David Weeks. Each designer usually speaks for five minutes and focuses on the inspirations and creative process behind a particular product, then fields questions from the audience. So stop by to hear about the truly remarkable things these designers are doing with lighting, hang out with your friends, and enjoy some adult beverages and snacks. 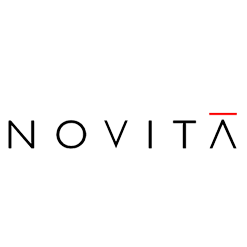 If you need any more incentive, the event will be held at the offices of the internationally acclaimed architectural, planning, and design firm, the Rockwell Group. The event is free but space is limited. Please RSVP with your name and number in your party to reserve a space and for building security. RSVP at thisisproductplacement@gmail.com. More Product Placement events are on the horizon and we’ll be sure to keep you updated.